Have you ever noticed how this time of the year brings about debates among Christians about whether or not we should participate in Halloween or Halloween alternatives? There are those who think that by participating in either, we are compromising and not standing for truth. There are also those who think that by participating in neither, we are missing a wonderful opportunity to be light in this present darkness (hmm, I bet that would make a great book title). Regardless of where you fall on the issue, maybe we are all closer to this highly debated holiday than we think. Think about it. On Halloween people dress up as something they are not in order to get something they want. 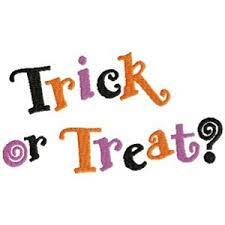 People dress up and go out trick or treating or go to parties all in an effort to have fun and gain some candy. Then, the next day (and after we have gotten what we want) we go back to our normal lives as though nothing happened. The sugar high has left us, and we are left with the regret of eating WAY too much chocolate. Nothing about Halloween changes who we are intrinsically. It is simply a facade. I wonder sometimes if we leave our students wondering if the church is merely a trick or treat location which leaves the porch light on year round. We wonder why students leave the faith, but I wonder if it is because we have taught them (too often) by our examples that faith is simply like Halloween: put on your “costume” so everyone will think you are a Christian and have your life squared away, and then go about your normal life when no one seems to be looking. I know, that is a harsh look, and maybe a bit unfair even. My concern though is that all too often I hear parents or other adults ask me about what a student or group of students are DOING. Did you get that? The focus is on the behavior. This concerns me because I’m afraid we focus too much on the DOING rather than the BEING. I know, “faith without works is dead.” I get that, but works without faith in Jesus that brings about a new birth is nothing more than behavior modification: translation, a Christian mask. Yes, a student who has a relationship with Christ should have evidence of such by their actions, but at the same time, when we focus on their actions more than their heart, are we not setting them (and ourselves) up for disappointment and failure? Could it be that we are losing students after they leave high school because they lack examples of authentic faith in their lives? Could it be that they tire of constantly falling short of the desires, demands, and wishes of those who lead them? Could it be because we focus so much on what they DO and not who they ARE? Could it be that we are worried about their “mask” more than their heart? Could we be promoting a Christian form of trick or treating where we encourage students to “dress up” their lives by doing the right things to get the “treats” of favor among our ministries and (sometimes false) assurances of salvation? Like many other student ministers, I LONG to see the trend of students leaving the faith reversed. Instead of looking for the ever-elusive “silver bullet,” what if we began to focus on what a follower of Christ is, and we allowed the power and person of the Gospel to transform their hearts before we began trying to modify their behavior? (Hint: when we allow the Spirit to work in their lives, we will notice that we are not needed to modify behavior nearly as much as we think.) This will not be an easy fix by any means, and it will take time. However, think about how you feel after devouring all of your Halloween candy. You’re pretty miserable after the sugar rush and when you look in the mirror or step on the scales, aren’t you? Well guess what: our students are weary of wearing the “costumes” as well. They long for authenticity. They long for the change, the metamorphosis, of which we speak. They long for the power which we claim a relationship with Christ supplies. They long even more for the relationship that exists in the life of a believer. They are hungry, but they want something with much more substance and value than the cheap “candy” they often receive. Trick or treating Christianity has to go! Our students long for that which is REAL! Instead of joining the debate about whether or not we should participate in Halloween, why don’t we focus on the larger issues facing us daily. There is plenty of work to be done without causing more divisions among believers.